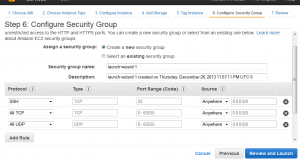 This is a great little tutorial to get the master server up on ec2 – exactly what I was looking for. Unfortunately, after following all steps successfully (so it seems) my game cannot connect to the master server. I’m getting the standard “Failed to connect to master server at :”. With some playing around, I could confirm that I can ping the ec2 VM from inside my Unity game but it can never connect to the master server service and the service receives no requests. The only step I had to take that deviated from the above instructions was that I had to install gcc (using yum) in order to run the make command. Since I can ping the server, I’m guessing something is wrong with my master server service, is there a way that you know of to verify that it is running properly? Any help is greatly appreciated, thanks! Sorry for such a delayed response. Did you figure it out? Sadly, I’ve not been able to figure out what the problem is and ended up putting the issue on the backburner for the moment. My best guess is still that it got screwed up in the build process somewhere though I don’t know for sure and all I get on the Unity side is the cryptic “Failed to connect” error. I’ve not been able to find a pre-built package either so I’m not quite sure how to determine where the problem is or how I might get it working. The only thing I can think of is that you didn’t properly set up your security permissions (see step 6). Because if it builds and you ran it, then you should be able to connect. Thanks for the effort, however you haven’t included how to setup port forwarding. I can never connect to the master server when running the Master Server. Also don’t you need the Facilitator? 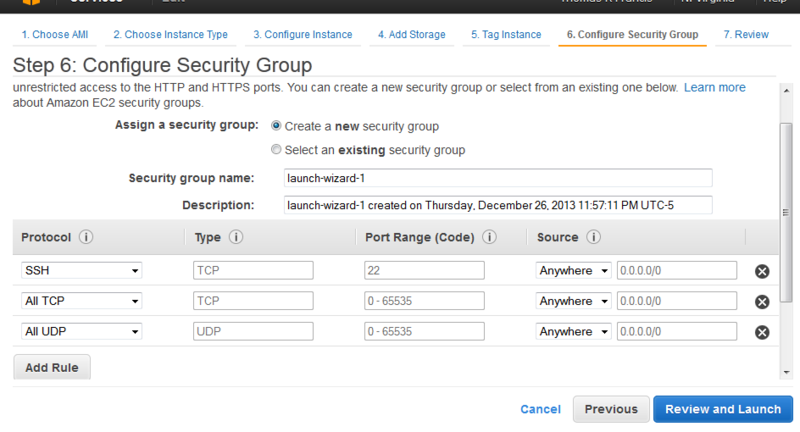 I have tried enabling both the ports through security options in the AWS config, and have opened the ports from within RHL as well. Could you refine the last part from 14 a bit. Before this you really go into detail but then you stop like we are putty or linux pro’s. This is my first time actually. I first accidental generated a key over .pem that was imported. Took me some time but then I noticed i could just import the .pem key and save it. I downloaded putty from the link you have but it does not have wget, or the server does not have it. So i had to do “sudo yum install wget” and “sudo yum install unzip”. Now i am completaly stuck at building it. “make” does not work `command not found`. “sudo make” does not work either. So by the time I found this out I fear the lasts step of “run it” will be impossible since that looks like the easier part :). Great little tutorial, got all the way in, right up until the wget command, and the server says unrecognised command, or something similar. It’s always the easy bits that end up tripping you up ! what about putting the master server on bluehost vps?